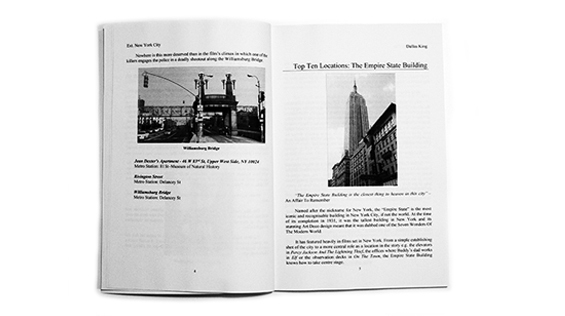 A value for money, pocket-sized guide to film locations in New York City. Ext. New York City was written and produced by self-publishing author Dallas King, who confesses to being the ultimate movie nerd. He first began writing about film in 2009 when he watched and reviewed every movie on Empire Magazine’s list of the 500 Greatest Films of All-Time in 365 days. Since then, he has written articles for Clothes on Film, The Guardian Online and Empire Online. Ext. 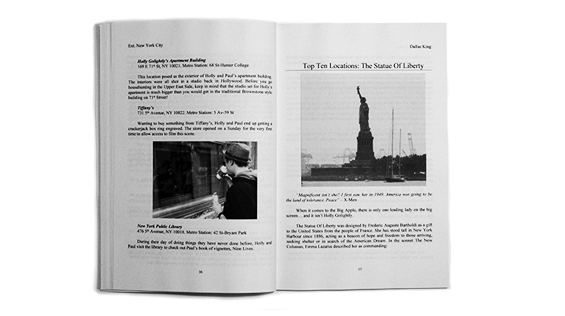 New York City was first published in 2015 and within its 128 pages showcases films that were shot in New York. Divided up into useful sections, this paperback provides maps which help to identify the physical locations for films such as “Ghostbusters”, “When Harry Met Sally”, “You’ve Got Mail” and many more. It also offers an insight into hotels, restaurants, bars, shops, museums and cinemas that have been featured in films, and includes useful references to nearby metro stations. There are also dedicated sections for filmmakers such as Spike Lee, Martin Scorsese and Woody Allen, giving reference to film titles and the many locations that have featured in their productions. Black and white throughout, the book also contains film plots, famous quotes and several cameo appearances from the author himself. 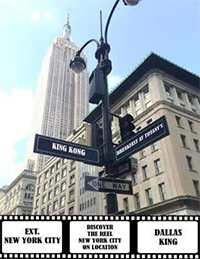 Available from Amazon in paperback and Kindle Edition, it is a book that will ultimately appeal to film location fans and New York tourists alike. 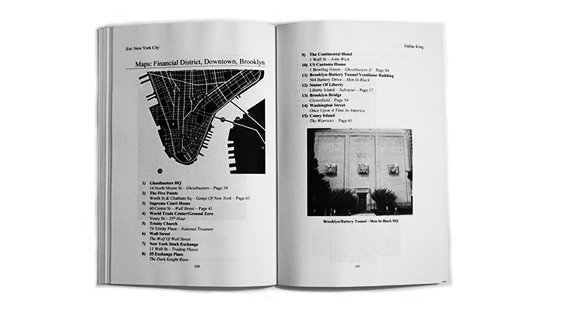 otsoNY Comments: This book joins an ever-growing list of publications that pinpoint film locations within the city of New York, and like so many before it, tends to shy away from the independently-made films and as such stays in the comfort-zone of big budget main-stream productions. A missed opportunity perhaps as it would have provided a unique selling point to an indie fan base and been one of the few to offer an depth insight into the low-budget rented locations that are all too often forgotten. There are certain similarities between this book and heavily over-subtitled ‘New York: The Movie Lover's Guide: The Ultimate Insider Tour of Movie New York’, though ‘Ext. 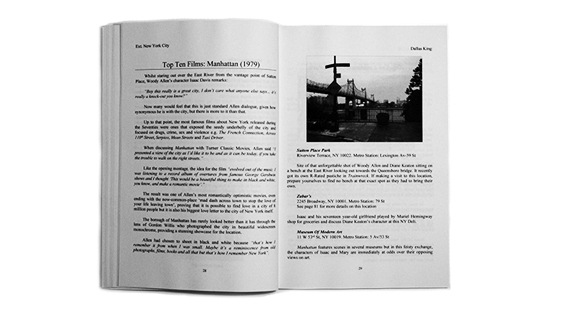 New York City: Discover the Reel New York on Location’ has far less mistakes, but it does however fall into the catalogue of film plot overload at times, and for what is a pocket-sized book, easy to carry around the streets of New York, the actual location references are often too well hidden within the overall text. Images are in short supply and of low quality, but this is reflected in the price tag. Where this publication truly stands out from the rest are the references to the various annual holidays such as Thanksgiving, Christmas and New Year’s Eve, and takes the opportunity to mention films that feature such an occasion, as well as seamlessly combining an insight into the history of New York and its many famous landmarks. Special thanks to Dallas King for sending us a copy of this book and if you would like to purchase a copy of Ext. new York City, simply visit www.amazon.co.uk.